Chopelin worked for BMW and Ford before joining PSA. 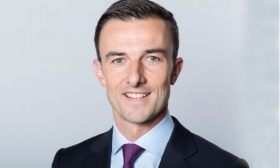 PARIS -- PSA Group promoted Alberic Chopelin to head its sales and marketing operations, including its newly acquired Opel and Vauxhall brands. Chopelin, 41, will take up the post on Feb. 1, reporting to CEO Carlos Tavares, PSA said in a statement. He is currently managing director for PSA in Germany, a post he has held for three years. Chopelin will be responsible for Peugeot, Citroen, DS, as well as Opel and Vauxhall. PSA bought Opel and Vauxhall from General Motors last year. Peugeot sales rose 25 percent in Germany in 2017 compared to 2016, according to data from industry association VDA. Citroen sales rose 8.3 percent and sales at upscale brand DS fell 24 percent. In July, three of PSA's top German executives left the company after a sales campaign led to thousands of Peugeot 208s being sold at deep discounts. Chopelin holds a master’s degree from HEC business school in Paris. He worked for BMW in communications starting in 1998 and joined Ford France in 2001. He then worked at BMW/Mini in France before joining PSA in 2009 as managing director for Slovenia. He was appointed PSA's head of Germany in 2014. Chopelin succeeds Stephen Norman as PSA's sales and marketing chief. Norman will head the Vauxhall brand in the UK and Opel brand in Ireland.